Revlon coupon is a printed coupon available directly from the manufacturer. You can see the coupon here. Visit the site where you can see the coupon, the coupon barcode and print off the coupon. Bring the Revlon coupon into any major retailer and you should be able to claim your savings. 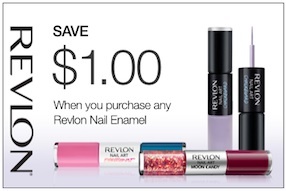 This is a Revlon coupon to Save $1 on Revlon nail art Nail Enamel product. Revlon coupon is valid only in Canada and expires Dec 31, 2013. 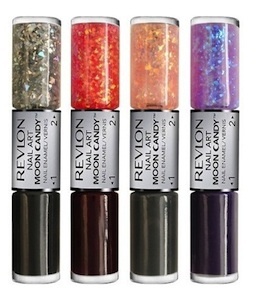 You can find Revlon Nail Art Nail Enamel products in any drugstore, Walmart and more. Unleash your inner artist. Skinny nail art brush on one end allows you to create detailed designs. Dual-ended bottle includes base shade and coordinating top shade. Comes in 10 curated color combinations to create a mani-masterpiece.